EEx rating according to type of lamp used. Supplied with aluminium housing for corrosive applications Voltage 110-230V AC (max 380V) EEx approval ISS and P # 98D, 103, 1283/970, 103, 124 Supplied with Plexiglas or glass for higher temperature Supplied with either incandescent of compact fluorescent lamps. 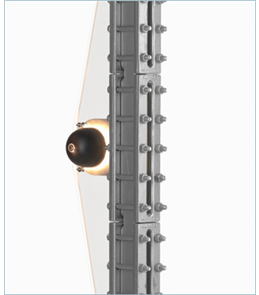 L.E.D option available Porthole gauge illuminators available EEx rating according to type of lamp used.